The 5th-grade social studies content expectations mark a departure from the social studies approaches taken in previous grades. 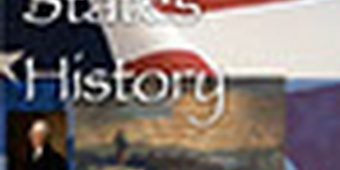 Building upon the geography, civics and government, and economics concepts of the United States mastered in fourth grade and historical inquiry from earlier grades, the fifth grade expectations begin a more discipline-centered approach concentrating on the early history of the United States. Students begin their study of American history with American Indian peoples before the arrival of European explorers and conclude with the adoption of the Bill of Rights in 1791. Although the content expectations are organized by historical era, they build upon students’ understandings of the other social studies disciplines from earlier grades and require students to apply these concepts within the context of American history. The last core strand of social studies is the one we will be focusing on mostly this year...history! Your studies will be focusing mainly on American history. It is often said that history is written by the victors. Historians must look at everything they can to come to conclusions about what happened in the past. Historians become writers, teachers, public speakers, and public servants in many ways. The following section explains the work of historians and details about their studies. Have you ever wondered about the first people who lived on our continent? How did they get here? It is believed by many historians that thousands of years ago, hunters following herds of animals like woolly mammoths and bison migrated (or moved) to the Americas on foot from Asia. This belief assumes that they crossed over a frozen land bridge caused by the Ice Age. You, your classmates, and your community are diverse whether you realize it or not. You probably come from different heritages, have differing religious beliefs, and have different family backgrounds. This is no different than both the American Indians already living in America, as well as the first colonists who came here. How did so many nationalities, cultural backgrounds, ethnic origins, and religious beliefs all end up in one country? This unit will guide you to understand how European, American Indian, Asian, and African people all came to live together in the Western Hemisphere. You recently learned that the 13 colonies did not form overnight. Instead, they started out as small settlements that expanded into colonies. In this Chapter, you will see exactly how those colonies developed into the states they are today. In the 1700s England fought several wars with France over control of Europe. Conflicts over land ownership caused the hostilities between these two dominant countries to spread to North America. In 1754 the French and Indian War began. It got its name from the people that the British colonists and their American Indian allies were fighting – the French and their American Indian allies. The French and Indian war lasted from 1754 to 1763. It was also called the Seven Years War. Throughout this chapter, you will learn why the colonists felt that they had no choice but to fight the British! The Intolerable Acts from Parliament & King George were “the last straw!” As you read you will learn how the Patriots gained confidence by standing up to the largest army in the world. The Declaration of Independence was just the beginning. The colonists kept this document in mind as they fought for independence and created their own government. This Declaration has inspired, and continues to inspire, the promise of freedom around the world.